When Indian police officers in a small boat pulled within sight of the remote island, they saw something strange. A group of islanders were huddled on the beach. Carrying bows, arrows and spears, they appeared to be guarding something. 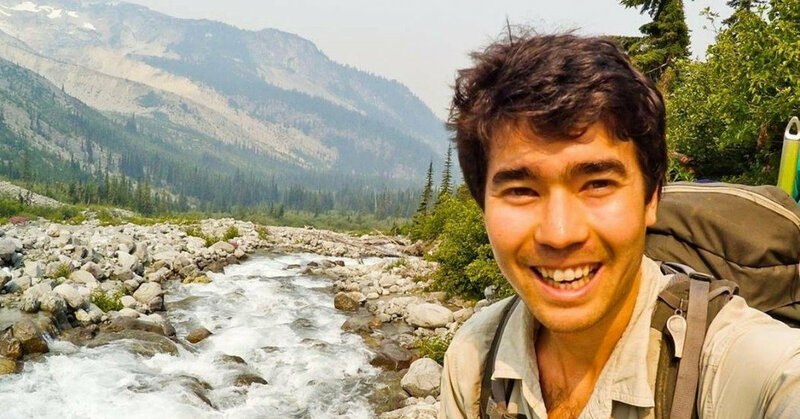 Police officials said it could have been the body of John Allen Chau. The 26-year-old American missionary was killed last week as he tried to spread Christianity to North Sentinel, a forbidden island in the Andaman Sea with a long history of repelling outsiders. The crew turned off the boat’s motor. They peered at the islanders through binoculars, making sure to stay several hundred yards off shore, out of bow-and-arrow range. So instead of retrieving Mr. Chau’s body or determining where it is, the police officers, after sketching out the crime scene, motored away. North Sentinel Island is home to one of the last undiluted hunter-and-gatherer societies, a rugged, Manhattan-sized island where a few dozen people live trapped in time and in total isolation. For decades, India has kept North Sentinel in a museum case. Mr. Chau’s death has shattered the glass. Efforts to retrieve Mr. Chau’s body — the first step in most murder investigations — are proving difficult and some anthropologists say it will be impossible. The search symbolizes the larger quandary India confronts in trying to enforce a society’s rules in a place that has been intentionally set away from the rest of that society. Indian law says North Sentinel’s culture is so precious and unique that its people should be left totally alone and no outsiders are allowed there. It also says that murderers should be punished. That is the bind police officers are facing. Last week, a group of fishermen reported seeing Mr. Chau’s body buried on the beach, apparently after the islanders shot him with bows and arrows. But police officials have yet to locate a corpse. Just about anyone who has stepped ashore on this island has been attacked with bows and arrows and anthropologists are warning the government to move gingerly. Though the Andaman and Nicobar Island chain is India’s farthest flung outpost, it is no longer so out of reach. The Indian government recently pushed to open more islands to tourism. The biggest town, Port Blair, has new resorts, new roads, new clothing shops, a major naval base, good cellular phone service and an increasingly busy airport. North Sentinel lies less than 35 miles away. The Indian Navy patrols the waters around the island, trying to make sure no outsiders ever reach it. But as Mr. Chau showed, that ring of security could easily be breached. On the night of Nov. 14, Mr. Chau, who lived in Washington state, set off under the cover of darkness with a group of fishermen he paid to take him to the island. A graduate of Oral Roberts University and a passionate Christian, Mr. Chau told friends he was willing to risk his life to bring Christianity to North Sentinel, a place so shrouded in mystery that the Indian government says no outsiders know the language or the customs of the people there. It is unclear what exactly happened to him. For two days, he used a kayak to paddle the half-mile between the boat and North Sentinel, where he rattled off passages from Genesis to the islanders. Sometimes the islanders simply stared at him. Other times they laughed. On the morning of Nov. 17, the fishermen saw a group of islanders dragging his body on the beach, then burying it in a shallow grave in the sand. The fishermen and one other man who the police say helped Mr. Chau reach the island have been arrested and charged with culpable homicide not amounting to murder and with violating rules protecting aboriginal tribes. Another case has been filed against “unknown persons,” the islanders, for killing Mr. Chau. The investigation is now heading into uncharted territory. On Friday, authorities sent police officers, along with some of the arrested fishermen, on a boat to observe North Sentinel and establish where Mr. Chau was killed. But will any of the islanders actually face prosecution? And if arrested, would they die in captivity from disease, their immune systems no match for modern microbes? In 2006, two crab fishermen were killed by islanders after washing up on North Sentinel’s shores. Police officials are now poring through the records of those killings, looking for clues about what happened to the fishermen’s bodies. Mr. Pathak said that about a week after the islanders buried the fishermen in shallow graves on the beach, they dug up the bodies and stood them up by tying them to lengths of bamboo. “If they follow the same pattern,” Mr. Pathak said, they may soon take out Mr. Chau’s body, although he suggested that it might never be recovered. In the case of the two fishermen, Mr. Pathak doesn’t think their bodies were ever recovered and he seemed to indicate that was a possibility in this case as well. “If maybe, from a distance, we can see John’s body, then at least his death gets fully established,” he said.